WATT Global Media custom publications program partners with pet food industry companies and suppliers to help them surpass their relationship marketing objectives. Our custom media services can create a one-time marketing piece or a regularly produced informative digital or printed magazine to help you meet your business marketing strategy. Custom written articles, such as customer profiles, technical and research pieces and in-depth articles are targeted to your audience to tell your story, launch a product or build your brand. Customers use these magazines to help educate their current customers, employees and prospects and to help close sales. Trouw's custom publication covers probiotics, clarifying myths about these beneficial bacteria and exploring their uses in pet food and the manufacturing environment. Extru-Tech’s custom publication shares its technical research on safely extruding pet food. Subscribe today to stay on top of the latest extrusion advancements. Subscribe today! or View the latest edition. Kemin Industries, Petfood Ingredient Division, features pet nutrition research and details how the company works with clients and suppliers to help improve their pet food. 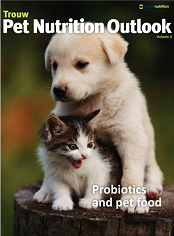 Subscribe today to learn about the latest pet food and palatability advances. Schenck Process shares how new products and technologies are improving pet food manufacturing processes. Subscribe today to get the most out of your conveying equipment. 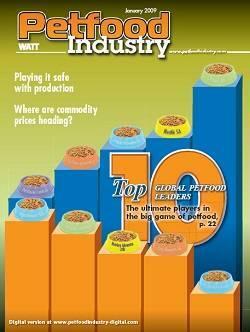 Check out past issues of various pet food manufacturing and processing publications, as well as issues of Petfood Industry from 2006-2011.